By definition, Succulent plants are plants that have some parts that are more than normally thickened or fleshy usually to retain water in acrid climates or soil conditions. This means, universally, they store water and are drought tolerant. 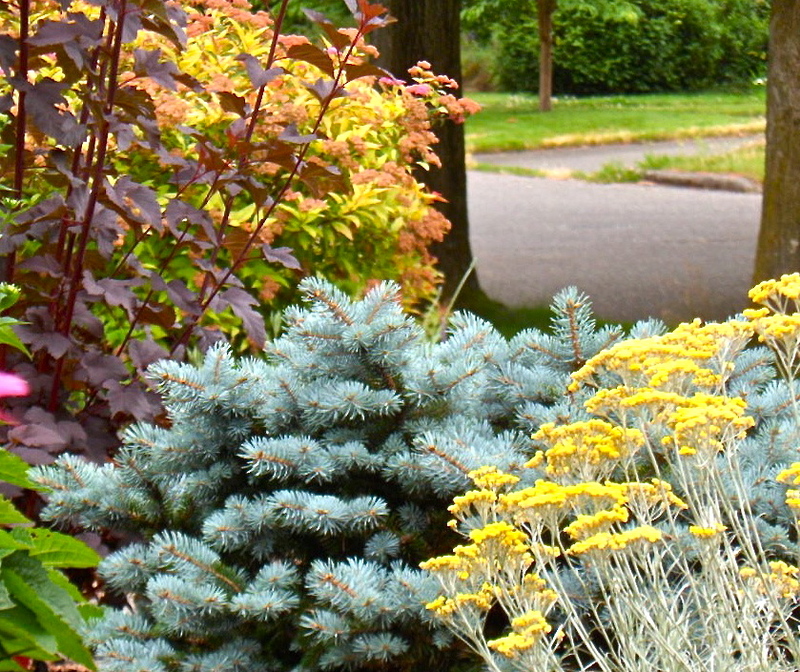 Sedum is a genus of over 400 leaf Succulents including hardy perennial bushes that that can grow as tall as four feet. These low maintenance gems provide an array of foliage and flower variations. Nearly indestructible and virtually disease resistant, the species that thrive in the Pacific Northwest do best in full sun, in average to poor soil with good drainage, and little or no supplemental water. At this time of year, Succulents are a great way to refresh pots and add to perennial borders or annual plantings that need a boost. Tender varieties that will not make it though the winter in this climate (mostly due to soggy winters causing them to rot), lend a dramatic and almost desert or tropical feel during the warmer months of the Pacific Northwest. Varieties like ‘Metallica’ (pictured) grow to several inches across offering great scale and a wonderful spectrum of color variation. With hundreds of varieties to choose from, the possibilities are endless! Michael Muro Garden Design offers garden planning and comprehensive landscape design in Washington State.